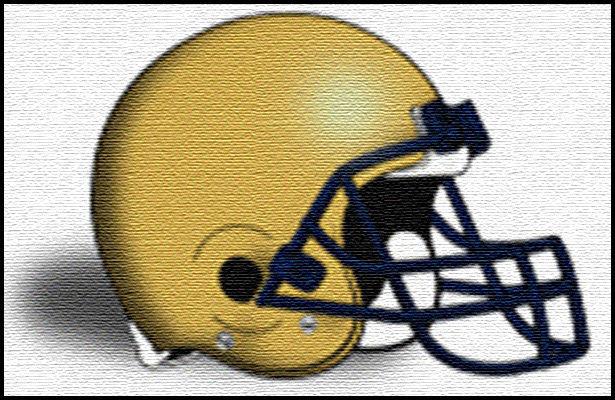 FORT LAUDERDALE – After just beating the Plantation Colonels a mere three weeks ago, St. Thomas Aquinas Raiders head coach Rocco Casullo was ready for the task of having to play the same team once again. Although, this time in a win-or-go-home situation. One of those injured defensive playmakers was 4-star defensive tackle, and Miami commit Anthony Moten who was out with an injury. However, the injured defense didn’t back down in the face of adversity. The Raiders forced four total turnovers on the night en route to a 20-6 victory over the Colonels. The Raiders offense, led by quarterback Wade Freebeck, a Pittsburgh commit, got things started early as they scored on their first drive of the night. Thanks to a 9-yard touchdown reception from Notre Dame commit, Corey Holmes, the Raiders jumped out to a lead a 7-0 lead. Freebeck finished the night 8 of 18 passing for 106 yards, one touchdown and one interception. Succeeded by two field goals from senior kicker Charles Courtney, (29 and 42 yards) the Raiders went into halftime leading 13-0. Plantation got on the board with just over two minutes left in the game as running Antwuan Hayes scored in a 6-yard rushing touchdown to make the score 20-6. However, a failed onside kick would ultimately destroy the Colonel’s chance of any sort of comeback. “We need guys stepping up so we can do what we have to do. Our defense was outstanding, although just too many penalties on offense. We have to keep making the right reads on offense from the quarterback position. But hey, I’ll take the win. Survive and advance.” said Casullo. Looking Ahead: The Raiders will have to go on the road for next week’s regional final game as they take on Palm Beach Gardens Dwyer (12-0).